I've said before that even though I like to dedicate most of my play time to a single MMO, I don't think it's fair to expect a single game to entertain you 100% of the time. There are times when you'll get bored, and it's okay to do other things - I would recommend also doing other things in fact, because if you force yourself to stick to something you're bored with, that just breeds resentment after a while. Better to take a break and give yourself the chance to actually miss all the things you love about the game. 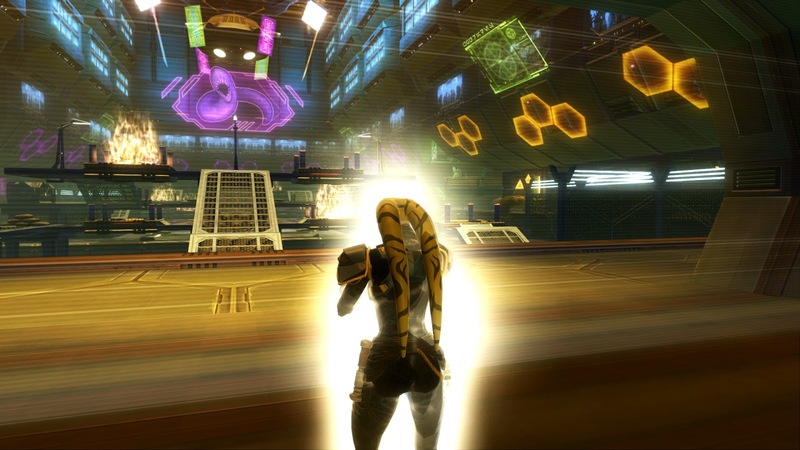 That's kind of where I feel I'm with SWTOR once again right now. Not that I'm really taking a break - after all I'm still showing up for guild activities several times a week - but in between those scheduled events I've been feeling a bit aimless lately. It's not so much that I have nothing to do as that it's all stuff that I've done before, and more importantly stuff that I feel I've done quite recently. Meanwhile Neverwinter's being all alluring with the release of a new module... it's easy to see why my attention would wander. You can already tell that this is going to be the longest expansion cycle ever, because while the time between 2.0 and 3.0 was still longer if you compare them today, we're not far from catching up with it at this point, and we don't even have a release date for 6.0 yet, only vague hopes that it will hit before the end of the year. So whenever it comes out, 5.x will likely be closer to having lasted 700-800 days at least. Mind you, I don't get bored that easily anyway. It's an interesting difference between me and my pet tank actually, which rears its head every time we try to play something new together. He gets super excited about new stuff and wants to binge on it 24/7, but then also gets bored more quickly. Meanwhile I also get excited about new things of course, but usually I don't want to stop doing everything else just because of that and will want to take short breaks pretty early on. This then also results in me staying interested much longer, long after my pet tank has already lost interest. Anyway, that said... even I feel that 5.x has had its time in the sun and that the game could do with a bit of a shake-up by now. 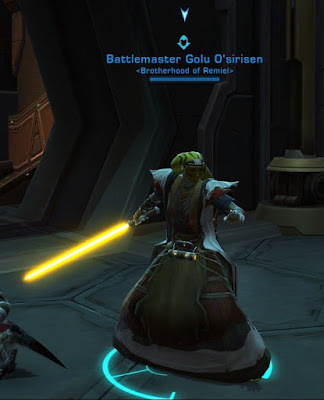 It's funny to me now to think back to how worried we were about Galactic Command taking forever to level up and how easy it became after a few patches. It actually served me well as something to keep busy, but after getting more than a dozen characters to Command rank 300 I'm really not that bothered anymore. The new conquest system had me engaged for a little while, and I do still participate in conquest every week, but I don't really want to engage in too many activities purely for the sake of grinding conquest points. I do still have my Pugging videos to work on, and I've also been playing around with a new idea to spice up my alt play a little bit, but it is getting harder to come up with new things to do with Knights of the Eternal Throne rapidly approaching the two year mark. How is your engagement holding up? S2E2: Ragging on Uprisings - My first episode about uprisings actually only went on to reinforce why I don't like them all that much, though I was also reminded of some good things about them. S2E3: Special Nathema Conspiracy Edition - Because I couldn't resist making an episode about a brand new flashpoint, even if I wasn't going to feature flashpoints in this season otherwise. This also featured what's probably my biggest ever gameplay fail in this series, though it was very funny (and goes to show that you shouldn't mistake my years of experience with much of the older content for innate ability). 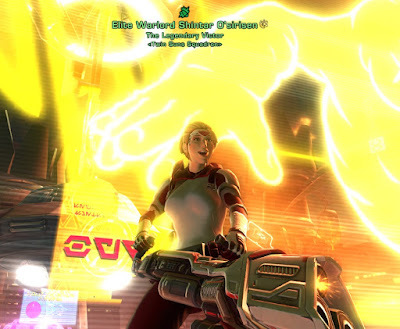 S2E4: I love Eternity Vault (but nobody queues for it) - This was a bit of a game changer for me because I had planned to feature some more operations pugs built purely through the group finder, but after three full hours of waiting in the queue I got fed up with it and just joined a group from general chat. 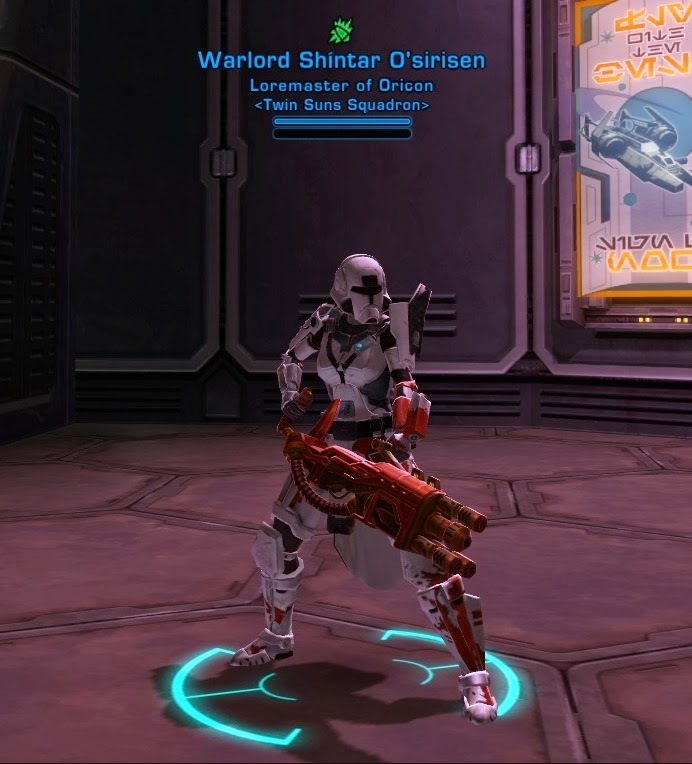 This did make me wonder whether SWTOR is seeing a bit of a seasonal population drop-off right now. Also, I committed another major fail in this episode, though I won't spoil what it is. S2E6: Getting into a partial guild run for Explosive Conflict - Here I initially failed to get a group through chat, but came back to it later and then ended up joining what turned out to be a partial guild run. Apologies to any members of BRACTWO whom I might have made look bad in any way; the awkward start to the run really threw me off though. I've never been a completionist when it comes to Star Wars fandom, someone who feels like they have to see or read all the things. For this reason I never had a particular desire to watch the Clone Wars TV series, because it was just another bit of supplementary material and aimed at kids to boot, so I couldn't be missing much, right? However, as time has gone by it actually seems to have grown in importance. It was declared canon when so many other things were not. Ahsoka Tano became an aspirational character that grew beyond her origins, reminding me of the way people talked about Mara Jade back in the day, only more so. And I saw a lot of adults talk about the new animated show, Rebels, as well, lending credence to these being more than just light entertainment for the little ones. Finally, when I watched Solo... without spoiling anything, but something happens at the end of that film that doesn't really make sense if you've only seen the movies, but I was told that more explanation was provided in Clone Wars. Next came the challenge of actually finding an avenue to watch it. I have neither a TV nor a Netflix subscription, and I don't do file sharing. I tried signing up for a free trial of Disney's Disney Life service in hopes that they might have it, but I couldn't even get the sign-up to work (it gave me a generic error every time). And DVDs proved hard to find at decent prices (at the time - looking at Amazon UK right now, they seem to be back in stock). As it happened, I was on holiday last week and while browsing in a local electronics store, I spotted a DVD of season one for cheap, so I decided to grab it. At about twenty minutes per episode, they fit in well between other holiday activities. On a side note though, considering that I always perceived this as a kids' show, I was surprised to see that the German FSK had rated it as suitable for ages 12 and up (which is, incidentally, the same rating they gave the original Star Wars films). That said, I couldn't help but think that it feels like the show actually does the prequel area better justice in some ways than the prequels themselves. As implied above, Anakin Skywalker actually comes across as a person that did indeed accomplish great things and wasn't just whiny all the time. Or how about General Grievous? I always thought he seemed as a little silly with his twirling lightsabers and spider-like run in Episode 3, but Clone Wars actually embraces this and just turns him into a ridiculously over-the-top super villain who's always brooding and shaking his fists at things - but it kinda works! Likewise, the extremely disposable separatist battle droids are turned into properly silly mooks that often serve as comic relief and it actually feels appropriate more than anything else. What was most interesting to me though was actually the realisation of just how much this show must have served as inspiration for SWTOR. Even the art style is somewhat similar - SWTOR veers a bit more towards realism, with less angular movements and more realistic proportions, but you can definitely see similarities. It's also quite obvious where inspiration for various classes came from: for example the episode "Rookies" features a clone trooper who's very much a proto-Commando, mowing things down with a giant assault cannon more than once. Or how about Asajj Ventress? Everything this lady got up to in season one screamed "Sith Assassin" at me, and while she was using dual sabers the entire time, I've seen stills of her wielding a double-bladed lightsaber as well, so I know it's a thing. 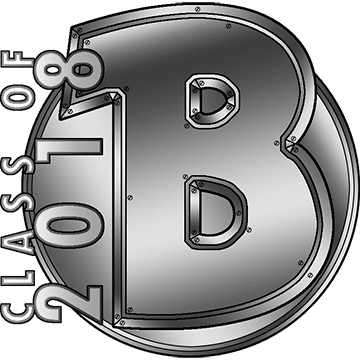 "Back In My Day" is an irregular series in which I talk about how certain aspects of Star Wars: The Old Republic have changed over the years. And boy, has it been a while since I last wrote one of these! I originally started drafting this post after the Yavin Ruins warzone was released, which got me thinking about how far we've come in terms of available variety of content in PvP. With the big "Summer of PvP (changes)" coming up, I thought it was about time that I actually finished this post. Note that I won't cover all aspects of PvP here - I have limited knowledge of and no particular interest in talking about things like class balance and world PvP, so I'll be limiting myself solely to the subject of warzones. Apparently I never took a screenshot of my main hitting Battlemaster rank, so here's my first alt hitting it instead. At launch, we only had three different warzones: Alderaan Civil War, the Voidstar and Huttball. The latter actually received quite a bit of attention from critics and was frequently praised for being an innovative and unique type of instanced PvP in the MMO world (at the time). Among the player base it tended to be polarising: On one side there were those declaring it the best thing in the entire game, on the other those who would instantly quit any warzone as soon as they realised it was Huttball. 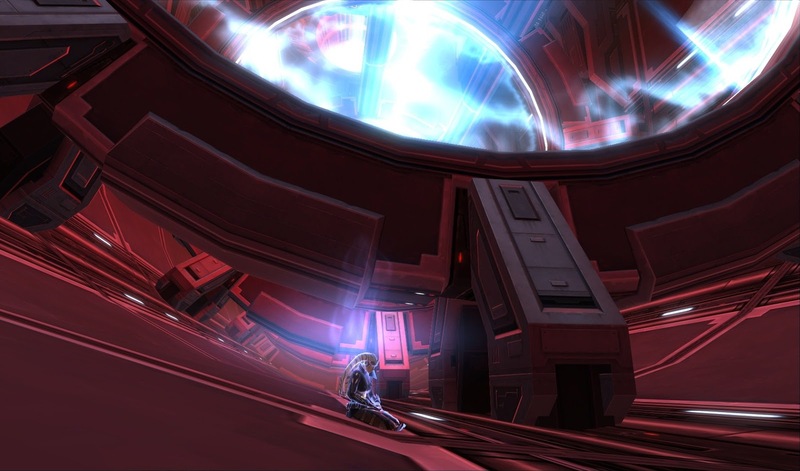 I've had several of the latter type in my guild over the years, though more recently the Odessen Proving Grounds seem to have replaced Huttball as most passionately hated game mode. Another quirk of Huttball was that, at the time, it was the only mode that would pit teams of the same faction against each other. 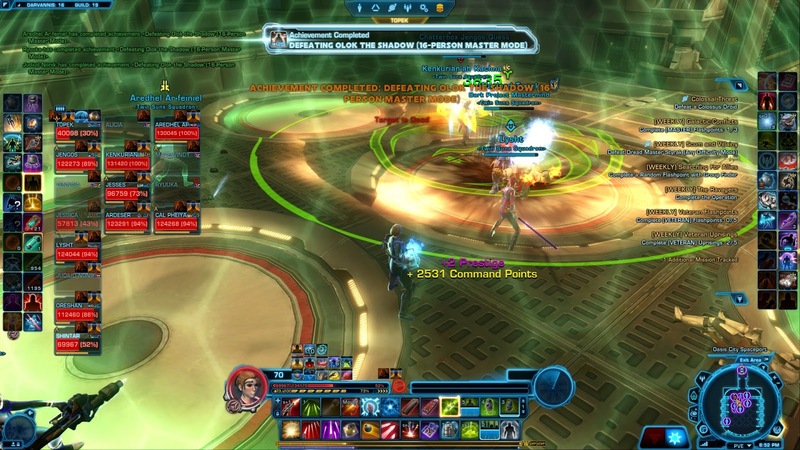 On servers with a very imbalanced PvP population, this meant that the larger faction would spend a disproportionate amount of time just playing Huttball against itself, which gave people another reason to dislike it. As you can see, the first additions came quickly and then still more were added at a decent pace for a while, with the biggest gap being the two years between Quesh Huttball and the Proving Grounds. Apart from releasing new warzones, Bioware has actually made only a remarkably small amount of major changes to the way existing warzones function (I'm not counting bug fixes, map adjustments to counter exploits and the like). When Novare Coast was added to the game in 1.2, the idea of same-faction "training exercises" was first introduced. Before then - as mentioned above - Huttball had been the only option the game gave you to play if there weren't enough players from the other faction in the queue to form an opposing team. Alderaan Civil War and Voidstar were modified to support same-faction play two months later, in patch 1.3. 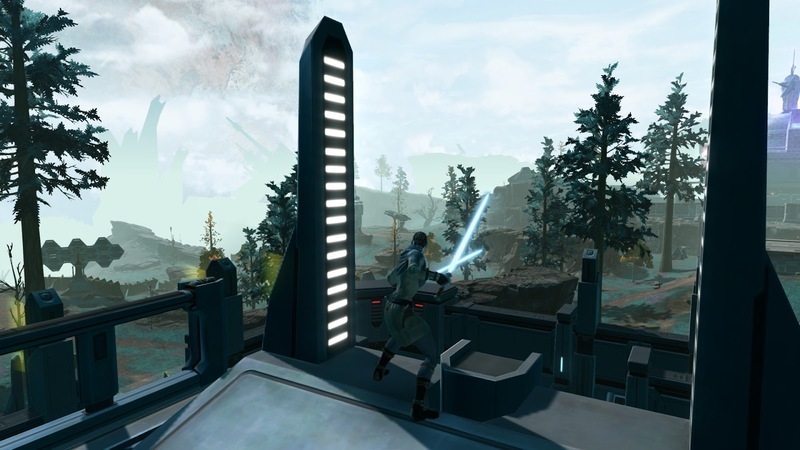 Mixed-faction play wasn't introduced until the Odessen Proving Grounds were added to the game, and until the release of the Yavin Ruins it was also the only map that offered this option. 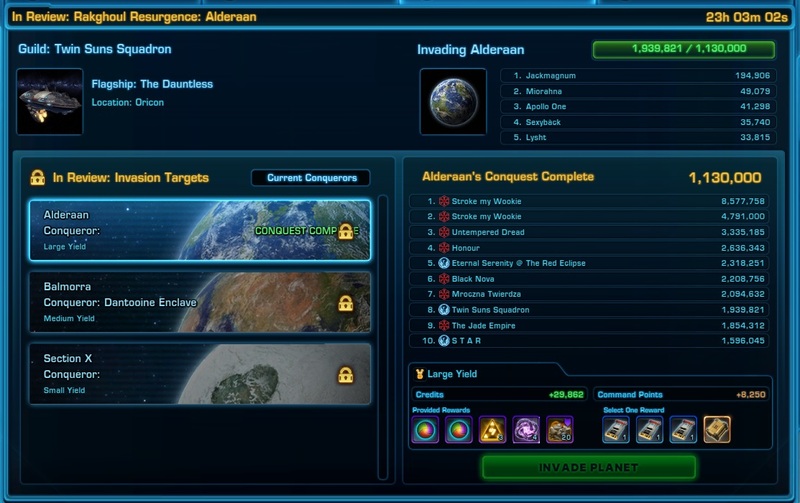 2.3 saw a big change to Alderaan Civil War, where until then you had been able to take a speeder from your ship directly to one of the side turrets if you owned it. This made the side turrets quite easy to defend by sheer zerging, and Bioware eventually decided that they didn't like it. They had already previously tried to rein this in by giving the side speeders an activation time in patch 1.1.5, but that hadn't been quite enough. Another change that I consider major and that came in the aforementioned patch 1.1.5 was that capping an objective would no longer be interrupted by damage-over-time effects. In late Shadow of Revan Bioware also tested the option of making caps unaffected by AoE damage on the PTS, but this was fortunately never implemented into the live game as general feedback was that it was very much not fun. They did however make "fire and forget" AoE like a Sniper's Plasma Probe unable to break caps eventually (in patch 5.3). Going back to damage-over-time abilities though, do you remember that they used to be cleansable? It wasn't until 3.0 that the ability to remove enemy DoTs in PvP was taken out of the game. As a healer I remember being somewhat annoyed by this at the time, but then again my Commando main had always been powerless when it came to the countless Force-based DoTs anyway, so it didn't end up making that much of a difference to me personally in the end. Our beloved Bolster has been in game since launch, though it went through a lot of tweaks over the years. One thing that's interesting to consider is that at launch Bioware was so confident in Bolster that all levels of characters were thrown into warzones together. However, people soon complained about the unfairness of fully geared max-level players smashing everyone else, so that level 50s (max level at the time) were split off into their own bracket as early as patch 1.1. When the level cap was raised to 55 in 2.0, the levelling bracket was split again, into 10-29 and 30-54, which is how things have remained ever since, though the separation line has moved slightly upwards as the level cap increased yet again (currently the brackets are 10-40 and 41-69). The 2.0 patch was also when Bolster first took gear rating at max level into consideration. Before then it had only applied to levelling characters, and once you hit the level cap it disappeared, which meant that characters who had only just arrived at the level cap were faced with a nasty surprise when they entered their next warzone, as they were suddenly much weaker than they had been in the levelling bracket. Bioware had initially tried to counter this by handing out cheap (and later even completely free) starter PvP gear, but eventually figured that it was more straightforward to just bake the effect into people's stats (as in, make it part of Bolster) as soon as they entered the warzone. I remember that they got this hilariously wrong at launch though, resulting in characters being at their most powerful if they wore no armour at all - as I noted in my Rise of the Hutt Cartel launch post while being mauled by Imperials in their undies. Ranked 8-man warzones were first introduced in patch 1.3 in June 2012 and were live for a little over a year until August 2013. Considering the brevity of their lifespan, it's quite astounding that there are still people campaigning for them to make a comeback nearly five years later. However, fact is that they were only played by a tiny, tiny minority of players (which Eric Musco has confirmed multiple times by now), which meant they weren't really viable in the long run. My own experiences with them were limited to not being hugely excited the first time I participated, being impressed by the community efforts displayed by those who cared about the system, then finally watching all the dedicated PvP guilds transfer off the server to chase the dream of some kind of ranked nirvana on the then-PvP server Tomb of Freedon Nadd, until the whole system finally collapsed. Ultimately 8-man ranked warzones were replaced by 4-man ranked arenas, which have also had their ups and downs, including issues with cheaters and win-traders, but since they are still in the game nearly five years later I guess they must have worked out OK. I can't really comment on what's been going on with them otherwise, as I haven't actually set foot in one of them myself since the very first ranked arena season, unless you count the one time I accidentally ended up in a team ranked match with some guildies after the guy who queued us pressed the wrong button (we had meant to queue for normal warzones). 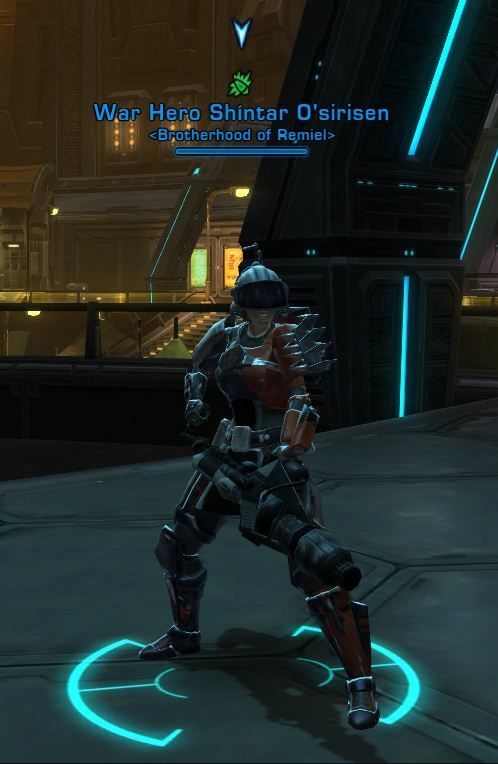 You've also been able to buy gear with earned commendations since as far back as I can remember. Initially the best gear however could only be obtained from the infamous Battlemaster bags, which awarded gear tokens at random. Later the various PvP commendations that the game launched with were all rolled into warzone commendations, and the better gear could be bought with special ranked warzone commendations. However, since you could also directly trade the former for the latter at a ratio of 3:1, people were able to avoid ranked while still gaining the best rewards by simply doing three times as much regular PvP. Bioware later tacitly supported this by getting rid of ranked comms altogether and just making the better gear more expensive. Nowadays all ranked rewards are purely cosmetic (titles, mounts etc.). Aside from old gear sets being retired, new sets being introduced and various price tweaks, that's pretty much how things functioned for several years... until Knights of the Eternal Throne got rid of the expertise stat and of PvP gear as something distinct from PvE gear and introduced Galactic Command. However, since then there have been mutterings about maybe reintroducing expertise... so who knows what the future will bring? As an aside, while I was searching my Google folder for the blog to see if I had uploaded the screenshots used in this post before, I noticed that it kept showing me search results whose file name had nothing to do with the search term (e.g. "Battlemaster"). Then I noticed that it had shown me those pictures because there were people with the Battlemaster title displayed shown in the pictures. Your AI is freaking me out, Google. 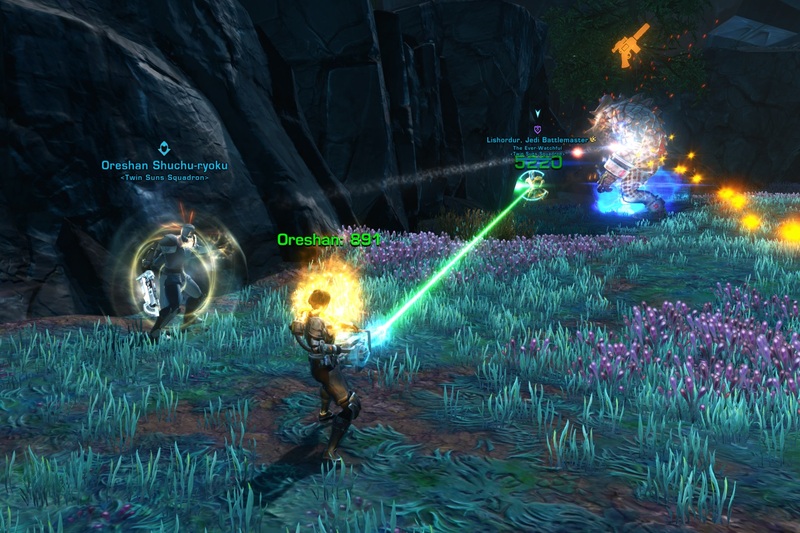 Last week Eric Musco started to use the forums to talk to players about some of the planned PvP changes to gather feedback. And you can tell that Bioware has been taking it seriously because they've actually already gone back on one major change after it wasn't well received! That's really good to see. That said... considering that all of these changes are supposed to be improvements, I'm feeling so-so about what's been announced so far. Some things do sound good to me and like they could shake up the meta in interesting ways, but others have me taking a more sceptical stance. I'm not saying they'll be bad, but I'll actually have to see them in action for myself to be convinced that they really are as good as the devs think they will be, because to me there are some obvious downsides. I won't go down the list bullet point by bullet point as others have already done a good job of that, but I do want to talk about some key changes. First off, some general goodness: They are making some changes to forcefully stop cheaters that were using hacks to move around the map to places where they shouldn't have been able to go. After having witnessed people walk through forcefields or teleport themselves inside walls recently, I'm all for that. The only thing that makes me a little sad is that these changes all follow a brute force approach, which is to say the devs are putting up new barriers and causing players to be auto-killed if they enter an area that should be inaccessible. The reason this makes me sad is that the addition of extra force fields in the second room of the Voidstar will make a perfectly legitimate but tricky tactic to cross the chasm before the bridges are down impossible in the future. They didn't say anything about intentionally wanting to kill this manoeuvre, so I assume the change wasn't targeted at people doing this specifically and will just kill it as a side effect. Then there is the planned role balancing for tanks and healers. Again, in principle this sounds like a good idea. One team being virtually unkillable due to an over-abundance of tanks and healers can be... interesting sometimes but generally it doesn't make for the most fun matches. What has me worried is that they are seemingly planning to lump tanks and healers into a single "support" role which will then be limited to two per team. (I don't think this has been 100% confirmed as the wording of the forum post is a bit ambiguous, but that's certainly what it sounds like.) As someone who often plays healers I'm certainly not looking forward to having longer queues just because there are usually a lot of us queuing when I play! In addition I have to say that being the only healer in an 8-man team is actually rarely fun, because if the enemy puts a mark on your head there'll be nobody there to support you, so I'm not looking forward to that becoming more common. And no, I'm not really counting pug tanks as potential support. Don't get me wrong, a well-played tank can be a huge asset to your team, but from my experience many tanks in unranked are pretty bad... and yes, healers can be bad too, but at least they generally know that they are supposed to heal. Yet if I had a credit for every time I've run into someone who was specced into tanking in PvP yet earned zero protection points throughout the entire match... yeah. I wouldn't be surprised if tanks became pretty unpopular after this change, seeing how they'll be seen as "taking up a healer slot". Interestingly there's been no mention of being able to select any maps as ones that you would prefer or want to avoid; I wonder if they've already given up on that. Though the new matchmaker will make arenas much less likely to pop in unranked apparently, which seems fair considering that you can always target them specifically by queuing for ranked. Once upon a time I would have been super happy about this change as I wasn't too thrilled by the introduction of arenas, but considering how many different maps have a chance to pop by now anyway, a certain percentage of those being arenas hasn't actually bothered me in a long time. Then again, even that could have negative side effects, especially as it's been stated that if you queue as a group, your group's rating will be based on that of the highest ranked player, not an average of all group members. That means that while in the past it was always a given that you would be happy for a highly skilled guild mate to join you, with such a rating system you might want to think twice before inviting Mr PvP Pro, considering that having him along will also drastically increase your chances of facing some very stiff competition in the next match... ah, it's fun to speculate about such things. Gameplay-wise, most of the proposed changes seem to be aimed at making matches faster and giving the offense more of a leg up (and Eric did state outright that this was their goal), though there are some outliers. Changes that fall into this category are ships taking faster damage on Alderaan and on Yavin, shorter cap timers in Voidstar, and the respawn area opening up more frequently in Ancient Hypergates than it does right now. I don't think the first two will make that much of a difference, as the only times when those maps seem to drag are when one or more of the turrets remain uncapped for a long time, and I think that will continue to be a drag regardless. The shorter Voidstar cap timers are interesting though, as they will make lone defenders much more vulnerable to stealth capping. In case you don't know, long-duration crowd control in PvP lasts eight seconds at max, and caps in Voidstar currently take exactly the same amount of time. This means that it's very hard to pull off a cap after crowd-controlling, since there's always a tiny delay between your CC going off and you being able to start to cap, so that the CC will inevitably run out just before the cap finishes, giving the defender a chance to interrupt. With the cap timer being two seconds shorter than the CC duration, capping will become much easier - this can already be observed in Ancient Hypergates, where the time to cap a pylon has always been six seconds. Changes that sort of go into the opposite direction, making matches slightly longer, have been announced for arenas and Huttball. In arenas the acid now won't kill you quite as quickly if the match goes into overtime and will gradually reduce healing done instead of instantly making it completely ineffective. This I'm actually really happy about, as the complete immunity to heals as soon as the acid hit always turned healers into a liability instead of an asset, because suddenly the winner was whoever could do more damage to the enemy more quickly. This way it will be more balanced and still give healers a chance to continue contributing, even as death slowly becomes inevitable. Huttball was always going to be a special case based on how different it is from most game modes, so I guess it shouldn't be surprising that this was the one where Bioware ended up going back on their initial proposal. Their initial suggestion was to have the Huttball apply a hindered debuff (similar to what you get when you get hit by a Commando or Merc's Electro Net), disabling leaps, speed boosts and immunities. I'm glad that they decided to not go with that plan, because while it can be annoying when a well-played character uses their speed boosts to zoom across the map towards the goal line at high speeds, the sheer utility of these abilities in the Pit compared to other maps is part of what makes Huttball fun. I'm quite happy with what they've announced instead, which is that Giradda will kill the ball carrier if they hold on to the ball for 45 seconds (down from two minutes). With the two minute timer I've actually seen this happen only very rarely, usually when the ball was caught by a newbie who didn't know how to pass and just kept running around aimlessly. Bringing this down to 45 seconds won't prevent someone from trying to make a fast run for the goal line, but they shouldn't be able to brute force it on their own via cooldown use if the enemy is actually slowing them and they aren't getting any support from their team mates. That said, I find it interesting that Bioware felt the need to slow down scoring in the first place if one of their stated goals was faster matches. Yes, encouraging team play and all that... but that was already a big aspect of Huttball anyway. In a similar vein they've stated that in the future you'll have to score ten goals instead of six to win... which to be honest sounds more painful than fun to me, because rare is the match where you get to one team scoring six times and that actually being balanced and fun. Usually when one team is able to score six times it's because they are completely steamrolling the opposition and the poor losers are just waiting for the pain to end. Having to wait for ten goals in the future doesn't strike me as an improvement. Unlike many very vocal people, I rather liked the conquest revamp from the start, with some reservations about certain aspects of it still needing tweaking. Since then Bioware has made some more adjustments to scores, objectives and rewards, with the biggest of these changes having been implemented in patch 5.9. And in a nutshell: they seem to have worked! At least the medium and large yield boards are actually populated with guilds capable of hitting their targets now. I never did find out whether that guild who won the large yield planet without actually hitting their personal guild target ended up getting any rewards, but since 5.9 this has become a moot question anyway. That said, it's been hard to gauge the full impact of the daily objective changes as they've been hilariously bugged since their introduction and constantly reset more than once a day, which has allowed some people to basically just farm mobs for points indefinitely. The funny thing about this is that Bioware has claimed to have fixed this bug twice already, yet it's still there. The resets have just become more inconsistent / harder to predict. We'll see what difference it makes whenever daily objectives actually become limited to once per day. As it stands, my guild managed to complete its target on a large yield planet for the first time last week, and I felt proud. I even revived an activity that I used to engage in back when conquest was new, which is to tally up all the scores of individual characters in the guild in a spreadsheet at the end of the week, in order to add up the contributions from people's alts to see who made the biggest impact as a player. It's quite tedious actually, but I'm currently sufficiently curious to put up with it. The one thing I still wish they would change is the number of available planets, as three to four every single week just doesn't provide enough variety. At least on Darth Malgus, things seem to have settled down into about half a dozen guilds competing for overall top score, and while most of them do go on to compete on the large yield board nowadays, one each tends to go for the medium and small yield planet still just to occupy the top spot there. Basically the only way smaller guilds will stand a chance at winning first place is to have more planets available at least occasionally. Anyway, I'm continuing to enjoy conquest for that feeling of collectively achieving a goal, and seeing the events put a stronger focus on their eponymous themes has been refreshing (though I don't get why the former Iokath conquest, now renamed to "Mechanical Warfare", gave points for repeating the KotET chapter on Nathema instead of the one on, you know, Iokath). We'll see how long it'll last - when I got caught up in conquests for the first time, the 3.0 expansion eventually served as enough of a distraction to largely wean me off my conquest habits, but 6.0 is still very far away, so know knows what the coming months will bring? A few weeks after joining Twin Suns Squadron back in 2012, I did my first 16-man operation with them. At the time, the experience left me feeling quite giddy. Over the years, 16-mans have been an on-again, off-again activity for us, depending on how many members were active at any given time, but they were rarely something for which we set serious progression targets. We were always focused on 8-man, with 16-man being more of a social activity on off-nights, giving people who weren't regular raiders a chance to tag along too. About a week ago we ventured into Scum and Villainy master mode on 16-man and were quite successful, killing five out of the seven bosses. I'm pretty sure the sixth fight would have been within our reach as well, but it required a bit more co-ordination and it was getting late. 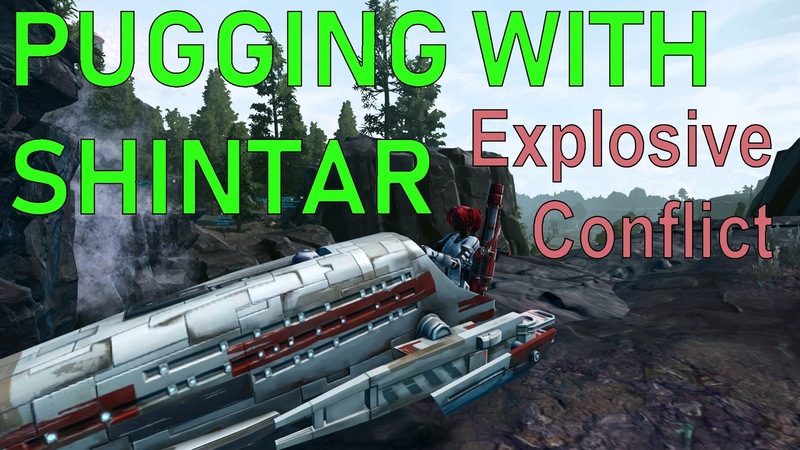 This week we tried our hands on Explosive Conflict master mode and boy, did that not go well! On our first couple of attempts we actually had people dying almost right on the pull, and it wasn't due to medpack issues either (though that sure gave me flashbacks). We did make significant progress over the course of the night however, eventually running into the drouks' enrage, though we didn't get them down. I think some people found it quite frustrating. For me it was actually quite exciting though. I'm not going to say that some of the sillier wipes didn't annoy me too, but I really relished the opportunity to actually try and push harder content with a larger group again. It's been a long time - nearly eight years in fact. It was in summer 2010 that my old WoW guild got its last 25-man kill (Sindragosa in Icecrown Citadel) before being forced to downsize. Especially as a healer, the team dynamics are very different in larger group content. When there's only two of you, everyone pretty much does everything, and there's rarely reason to have specific assignments for things. But in content that's designed for a larger number of healers, the damage is tuned differently and more frequently enforces strict roles, for example because the damage on the tank is so heavy that one healer is required to spam heals on him at all times. Being stuck in that role could be considered a bit boring I suppose, but for me it was actually a bit of rush. Especially at the beginning I got nervous more than once when both the tank and myself got low and I still had to keep prioritising the tank and trust my co-healer to provide the heals that I needed. As he's one of our newer members and we're usually on different teams I didn't have as much of a rapport with him, but as the evening progressed, seeing that I could trust him to keep me alive was actually a really good feeling. I hope that we'll be able to keep this momentum going, with enough people interested in the format to keep showing up. I know it can have its frustrations, with more players to potentially mess up or underperform, but for me it will always hold a special charm as well.